A criminal case was opened on two counts. The Kyiv police have opened a criminal case based on the video of a Roma camp dispersal in Kyiv's Lysa Hora neighbourhood, which was published by LB.ua. According to the police website, the case was opened on two counts: violation of citizens' equal rights based on their race, ethnicity or religion (Article 161 of the Criminal Code) and hooliganism (Article 296 Part 2). "The video of illegal actions committed by unidentified individuals against citizens staying the Lysa Hora ravine was published online today. Based on this video, information was immediately entered into the Single Register of Reports of the Kyiv Holosiyivskyy police department," the police said. They called on witnesses to step forward and share any information they have. 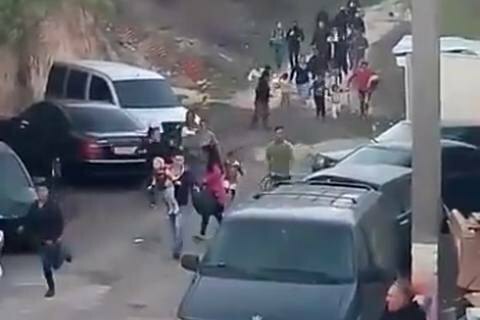 The video of young men chasing Roma families with children was published online by LB.ua earlier on 25 April.